which has been the anthem of the Kingdom of Morocko , even before the country gained its independence from France, 2 mars 1956. 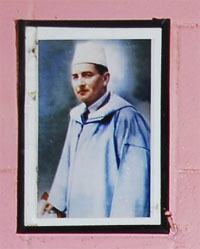 Upon the death of his father Mohammed V, King Hassan II succeeded to the throne in 1961. 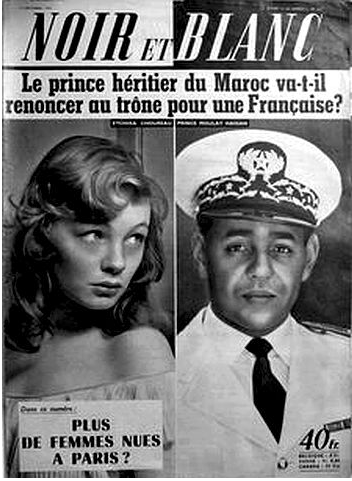 He ruled Morocco for the next 38 years, until he died in 1999. 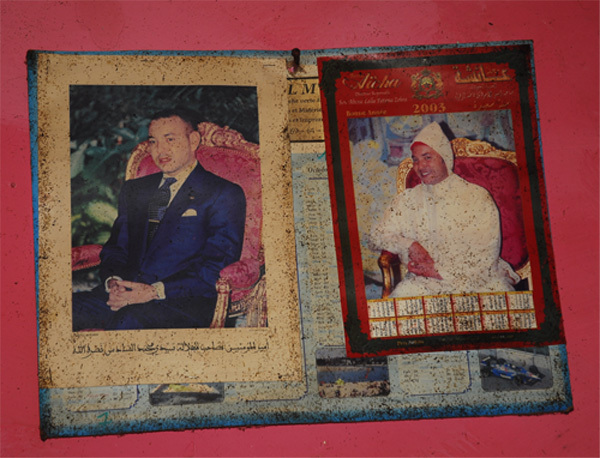 His son, King Mohammed VI assumed the throne in July 1999.
the present King of Morocco. 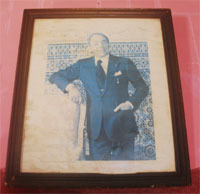 Photos of the Moroccan kings on walls in national buildings, homes, shops and cafe´s. The King Mohammed VI and the ceremony of allegiance. 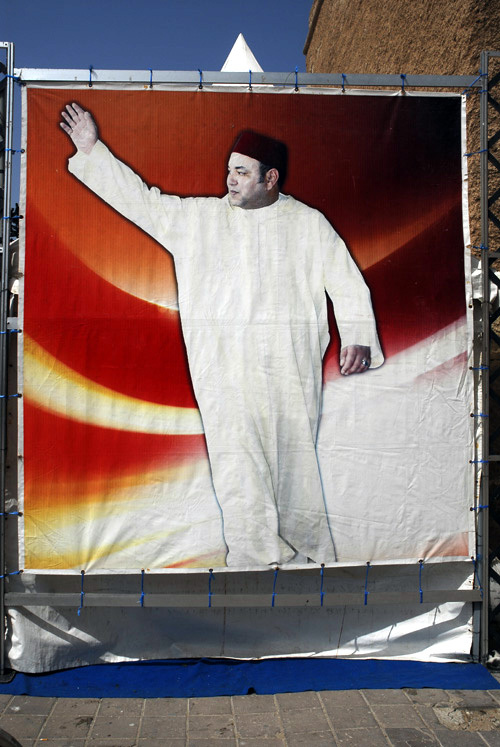 The King Mohammed VI birthday on August 21 also known as Youth Day -Fête de la Jeunesse (Aid Achabab). Born on August 21, 1963 in Rabat, king Mohammed VI was enthroned on July 23, 1999, after the demise of his father, late king Hassan II. 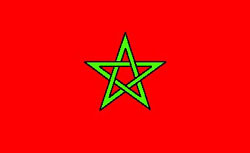 Independence Day (Eid Al Istiqulal) is celebrated on 18 November, commemorating the end of the French Protectorate in Morocco. See Calendar for National Holidays and Islamic feasts. 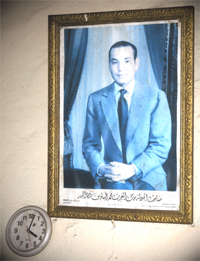 Mohammed V ben Youssef, born August 10, 1909 in Fez and died February 26, 1961 in Rabat, was Sultan (1927-1953) and King (1957-1961) after Morocco's independence in 1956. Morocco: Is the ‘Allegiance Ceremony' a Thing of the Past? à l’occasion du 59e anniversaire de la Révolution du Roi et du peuple.